You may recall – way back in the snowy wastes of December – that I let loose my intention to write a ‘best of 2013’ list. A snazzy affair, full of shiny pictures and big, scary numbers. Here we are two months later, however, and I’m feeling a little less enthusiastic about the whole thing. Sunbather, Gravity, Bioshock: all are great, and yet by that virtue, have been well-represented on the internet over the last year. In all honesty, I’m not sure if I could shed any new light on them in short-form; and perhaps more importantly: I don’t think there’s need for another boilerplate list out there. So instead I’ve decided to offer an alternative list: of things that might have been forgotten or otherwise overlooked in the last thirteen months. A list of films, albums, and videogames that, whether due to low exposure, bad timing, or just plain weirdness, eluded the focus of Joe Average in 2013. They may not be as polished or shiny as the usual suspects, but for my money, they are deserving of praise all the same. If Death Grips left you veritably noided with their latest album – or more to the point, if you’re actually far enough down their particular rabbit hole to respond to the word ‘noided’ – then Hollow Point/ Burst Round will probably make sense straight away. Adding to a growing list of experimental, electronically abrasive hip-hop projects, Tokyo Death Watch’s debut doesn’t break boundaries by any stretch of the imagination, but instead seems content to make as much noise as possible within them. Mixing the industrial fuzz of Noise music with the heavy-hitting, symbolically-charged lyricism of B L A C K I E and MC Ride, this album cranks the instrumental track into the red and explores hip-hop without explicit melody. Imagine Yeezus, as heard through a blown-out bass amp. It isn’t quite as po-faced as its angrier, bigger brothers, but what it lacks in nuance, it more than makes up for in moxie. Lines like ‘I wear my fury like a necklace’ aren’t going to change worlds, but, for a short time, they might just ignite them. Behind all of the drone and angst, Hollow Point/ Burst Round is energetic – almost to a fault – refusing to give any ground during its thirty minute runtime. Consider it a literal interpretation of Spector’s ‘wall of sound’. From the atmospheric whine of ‘SALT LICK’ to the ‘traditional’ chants of ‘TOKYO DEATH’s chorus, this is an album that covers ground quickly and methodically; rarely stopping to expand on itself, and it makes for a disorienting listen – more than its drone can take credit for. Above all an experiment in form, Tokyo Death Watch’s debut finds a unique sound and exploits it, striking while the iron is hot and leaving the listener burning for more. You can download the whole thing, for free, on Bandcamp here. I was hoping, given the success of its predecessor, that Amnesia: A Machine for Pigs would find a larger audience. I was eager to see what debates would spring up in its wake. What lessons it could teach us. Back in August, I gave it Snacked Up’s 6th ‘5 out of 5’ score, genuinely believing that it would set the scene on fire; or at the very least, leave a slight burn in its upholstery. As it turns out, I was wrong. Few appreciated thechineseroom’s new take on the Amnesia series, and even fewer dwelt on it. Unfortunately – and awkwardly – released in the wake of the instant gratification of Outlast, A Machine for Pigs’ slow-burn was sidelined and largely neglected – a shame, considering that it contained one of the strongest horror narratives in recent years. Few games deal with personal struggles – let alone struggles that can’t be solved with a box of ammunition and a tub of hair-gel – so it was refreshing to discover that A Machine for Pigs not only did so, but never took the easy way out. What little traces there are of humanity within are clearly conflicted, drowning in a moral quagmire having come face-to-face with the atrocities of The Great War. The turn-of-the-century London on show is lifeless; its pride drained, its life dwindling. The player’s path, whether they are aware of it or not, is one of penance; coming to terms with sins committed long before their arrival in the game world. It’s fundamentally dark, and terrifying, to boot. Atmosphere is king here. 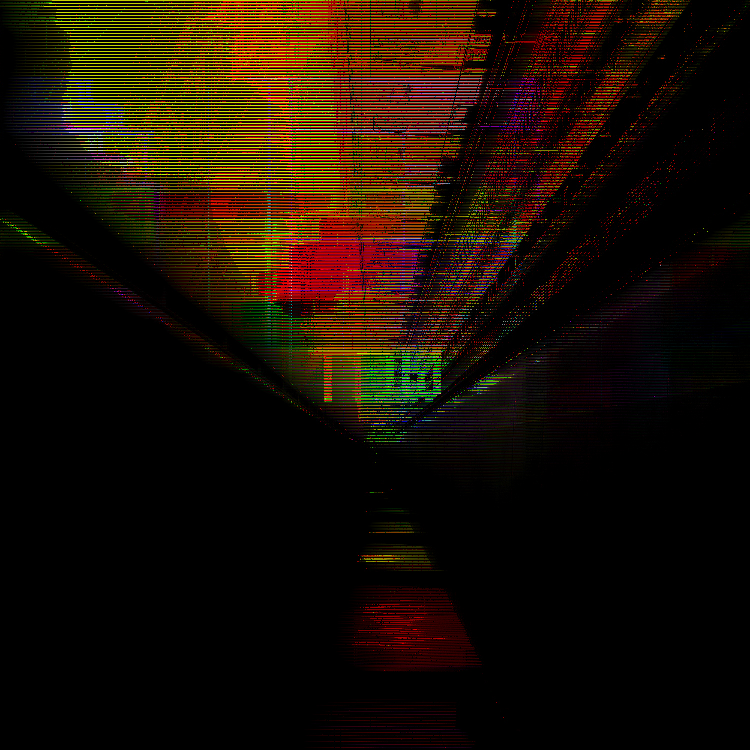 The eponymous machine tangibly reeks of evil, becoming increasingly abhorrent as the player learns of its purpose and ventures deeper into its core. Pigs scream, oil drips, walls ooze; all set against the game’s initial backdrop of decadent British high-society. The genre’s ‘traditional’ chase sequences are few and far between, the scenery is left to speak for itself; and becomes much more terrifying an object than any gnarled monstrosity could ever hope to be. A Machine for Pigs’ depth extends far beyond the obvious symbolism of the machine itself, however, and therein we find its greatest strength. At risk of elevated comparison, its broad strokes are similar to those of Paul Thomas Anderson’s There Will Be Blood: both works don’t only comment on the nature of evil, but dare to humanise it; to give it a face that isn’t constantly twiddling its moustache, but has its own, empathetic agenda. This is a game that takes moral relativism to its extremes and dares its player to sympathise; never ceasing to beg a single question: ‘why’. Therein lays A Machine for Pigs’ greatest achievement, but also its greatest tragedy: that it should have been forgotten so soon. You can download Amnesia: A Machine for Pigs on Steam here, and find my full review of it here. If the vaporwave movement perplexed you at any point during the last two years, don’t worry. That was, in many regards, the point. Blending the tacky sounds of corporate muzak, the ethereal drone of ambient electronica, and the cut-and-paste chaos of a YouTube Poop video, vaporwave was as much a statement as it was a genre – a post-ironic wasteland in which the recycled pap of consumer society was, itself, recycled. The movement’s representatives: albums like MACINTOSH PLUS’ FLORAL SHOPPE were resultantly difficult to approach, anarchically indulging in the sleaze of corporate music by twisting it into monotonous, extended cuts of noise. Devoid of context, it was near-impenetrable: little but a masturbatory exercise in aesthetic excess. For those who stuck by it, however, a greater irony soon emerged: vaporwave became enjoyable unto itself. Beyond the abrasive art-pop posturing, it actually claimed a sound of its own. 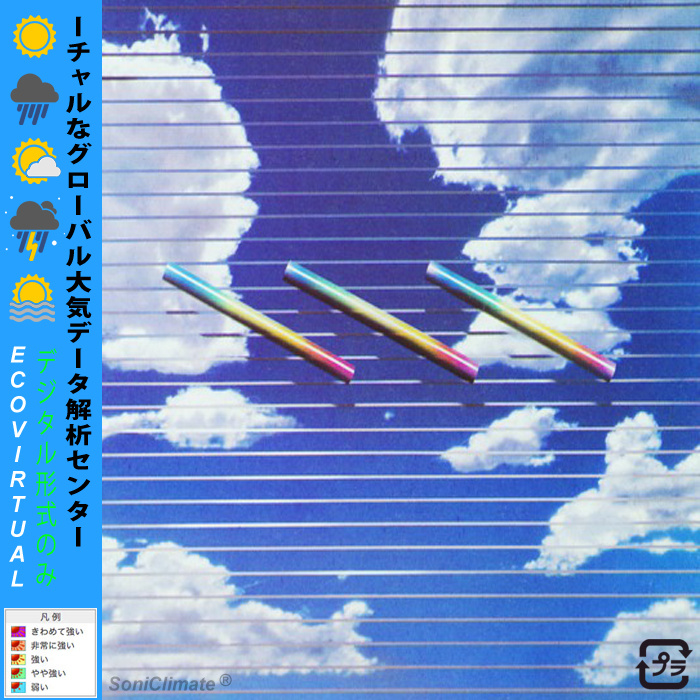 ECO VIRTUAL’s album takes this sound – along with the hallmarks of vaporwave, from the corporate facade to the sleazy lounge aesthetic – and dials back on the excess. Without knowing a thing about the genre, you could be forgiven for assuming that this was merely a cheesy slice of easy-listening. It’s an uneasy balance, but it works. Sandwiched between the abrasive output of the genre’s more popular releases and the straight-laced world of ‘normal’ ambient, VIRTUAL大気中分析 occupies an interesting position. For anyone bold enough to listen, it opens an easy door into the vaporwave genre-at-large, communicating its basic stylistic and thematic constructs while avoiding the anarchic clamour of its contemporaries. You can download VIRTUAL大気中分析, for free, here, or find Adam Harper’s comprehensive overview of the genre here. “My goal,” according to Papers, Please developer Lucas Pope, “isn’t to make a political statement.” It’s a crucial point to consider; and one that may initially be hard to swallow. In Papers, Please, you inhabit the role of an immigration controller in a fictional Eastern-European state; one asked to enforce the policies of a corrupt government at ground-level, face to face with the people who stand to suffer. Thankfully, Pope isn’t keen to preach, and thus choice is paramount. At any point, you’re free to disobey orders, albeit at the risk of plunging your family further into poverty; after all: food and medicine are expensive, and this particular line of work – as it turns out – is hard. Under the iron fist of an exploitative bureaucracy, you’re asked to turn away the suffering and admit the criminal; mandated by increasingly hefty piles of paperwork and the faceless demands of a fax machine; one that could spell either survival or death for you and the ones you love. Summarised in one paragraph, I’m sure that the premise reads like a political statement, and yet Papers, Please ultimately says little about immigration, or the wider political spectrum that forms its backdrop. The situations within are winkingly dramatic and vague, and actual events are distanced, replaced instead with gross caricatures of real-life incident, and thus, whenever the question of politics rears its head, Papers, Please only highlights its own artifice. In Pope’s game, only one thing is represented with any degree of verisimilitude: people. The ‘Glorious Nation’ of ‘Arstotzka’ is clearly a hypothetical system, a pastiche of every dystopian novel ever written; little but aesthetic fluff. Papers, Please’s cruellest surprise, however, is that the folk you’re forced to confront within Arstotzka are inversely – and unsettlingly – real, characterised with believable problems – problems which they are eager to pass on to you. Torn between the oppressive demands of the government and the pleas of the impoverished, you’re likely to find your moral compass stretched to its limits. This, of course, is the point. Papers, Please is at the forefront of the ‘empathy game’ movement, in line with the likes of Depression Quest and I Get This Call Every Day; games that mechanise the seemingly mundane lives of the down-and-out in order to communicate some fundamental truth about the experience of being ‘othered’. As it stands, empathy games seem to be one of videogaming’s more experimental arms, effectively communicating issues ranging from gender identity to melancholy, all with an inherently personal bias that never betrays the player’s involvement. In this case, the subject in question just happens to be a bit more questionable. Above all, Pope’s game is an experiment in perspective. Like A Machine for Pigs above, it humanises a common ‘evil’ – in this case: bureaucracy – by drawing attention to the lives and circumstances of those enacting its injustices. Regardless of how you choose to approach the people and situations within, you’re unlikely to find any degree of solace or catharsis in practice, but will likely become the very thing you set out to avoid. Like most empathy games, Papers, Please is socially conscious: it dramatises the complexities of a commonly polarised issue; ultimately aligning the player with the plight of those represented. It’s not easy-going, but then again, it was never meant to be. It’s a game about complexity; about separating ideology from human reality and reassessing issues which, on the surface, can seem all too simple. You can download Papers, Please, here. Ben Sharpe – better recognised by his ‘Cloudkicker’ moniker – has been at this for a while now. Building a steady fan-base in his wake, Sharpe has been writing, recording and releasing instrumental prog-metal for the better part of six years, steadily finding a voice and phrasing that he can call his own. 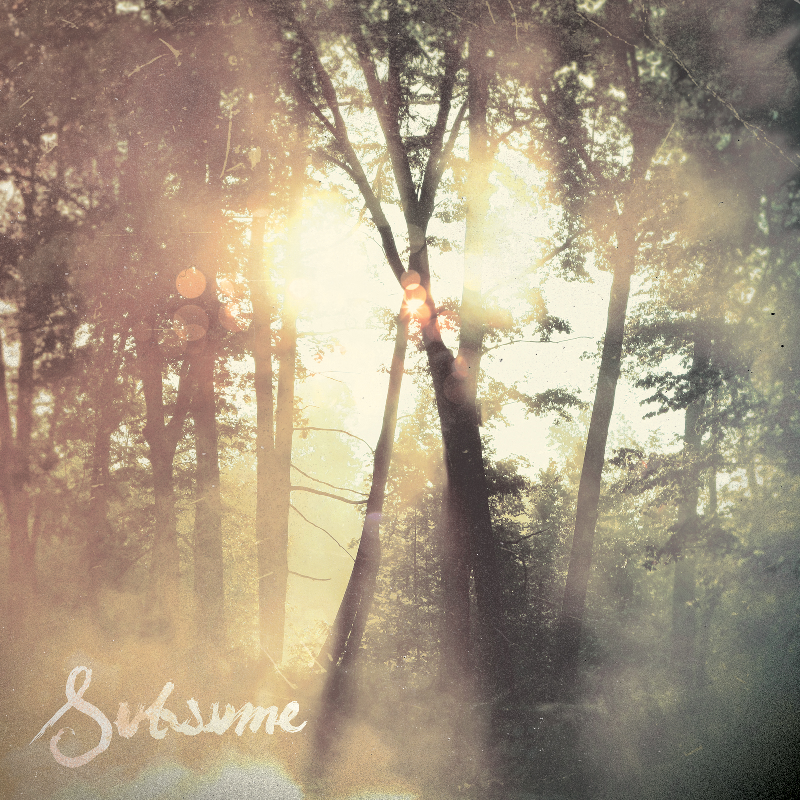 It’s an effort that only continues towards new heights in his latest album, Subsume. Sticking true to generic boundaries, syncopation is the order of the day here. Irregular rhythms chugged out on down-tuned guitars; drum-patterns seemingly birthed by algorithm; and the occasional widdly interlude add up to an experience that should be familiar to anyone who’s listened to metal radio in recent years, and yet its within this familiarity that Sharpe has proven himself most versatile. Like Josh Homme’s oft-cited ‘robot music’, the tracks on Subsume pound away with a merciless repetition, refusing to stop until the irregular becomes regular. Sections gradually build layers and drift over – and into – one another, growing louder and more complex with each pass, and it results in a hypnotic, urgent listen. Tracks that initially seem aggressive or even simple are eroded by the slow-burn of repetition; steadily melting into an ambient cacophony of distortion. That’s the allure of Sharpe’s work. It takes something tired and pounds it into a new shape; allowing even the harshest of sounds to come together smoothly. You can pay what you want for Subsume on its Bandcamp page. Fundamentally, Room 237 shares a number of similarities with a recent review on Snacked Up: Mike Schneider’s Night of the Living Dead: Reanimated. Both explore the reading and interpretation of art by honing in on the audience’s understanding of their respective subjects, and both do so with as little editorial intervention as possible. In this case, our attention is drawn towards Stanley Kubrick’s 1980 horror masterpiece, The Shining. Through the accounts of five different theorists, we’re given a look at some of the more outlandish interpretations of Kubrick’s film – laid bare with no external commentary, but instead left to fend for themselves. 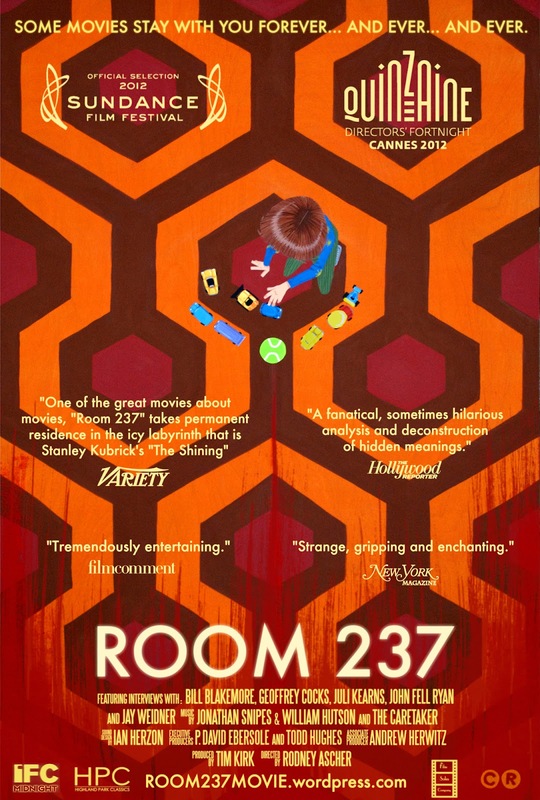 If Reanimated portrays the effect that a film can have on a viewer, then Room 237 inversely portrays the effect that a viewer can have on a film. Consider it a matter of adoration versus obsession. Loaded with their own personal agendas and eclectic points of focus, Room 237’s subjects project themselves onto Kubrick’s film in ways that it’s hard to believe that Kubrick would have imagined. On the surface, Room 237 offers a condensed vision of the director as a near-mythical figure. A lot has been made of The Shining’s production process, particularly the sheer amount of footage shot and edited, and as a result, we have an image of Kubrick’s films as legendary objects; perfect capsules of an auteur’s vision, unfiltered and unhindered by accident or oversight. Elevate anything to the status of legend and it’s easy to get lost in excess – to believe that Kubrick had considered all possible interpretations: and this film seems mostly concerned with this excess. Perhaps the greatest success is that it takes its subjects seriously. Even the most ridiculous theory – that Kubrick had directed a faked moon-landing and used The Shining to admit as much – is treated with complete sincerity, backed up by relevant footage and graphics, and given full reign over the documentary for the better part of fifteen minutes. Room 237 certainly isn’t going to enlighten anyone looking to better understand The Shining unto itself, but it might just be of interest to those concerned with the film as a cultural object. Room 237 stands testament to the power of film on a personal basis; divorced from any wider conversation. Left to our own devices, we ascribe meaning to movies based on our own interpretation of the world beyond; doubly so in the case of Kubrick and co., whose consciously symbolic and visual style of storytelling gives us a space in which to better explore ourselves. Consider this as the second half of a one-two punch; a supplement to the likes of Night of the Living Dead: Reanimated, Star Wars Uncut or Doggiewoggiez! Poochiewoochiez!, that ultimately explores the way films communicate with their audience; and the ways in which the audience attempts to talk back. You can find out more about Room 237 here. For the record, I adore Fez. More than that, I adore its soundtrack. So imagine my surprise last year when I found out about FZ, a two-album remix project helmed by the game’s composer, Disasterpeace. 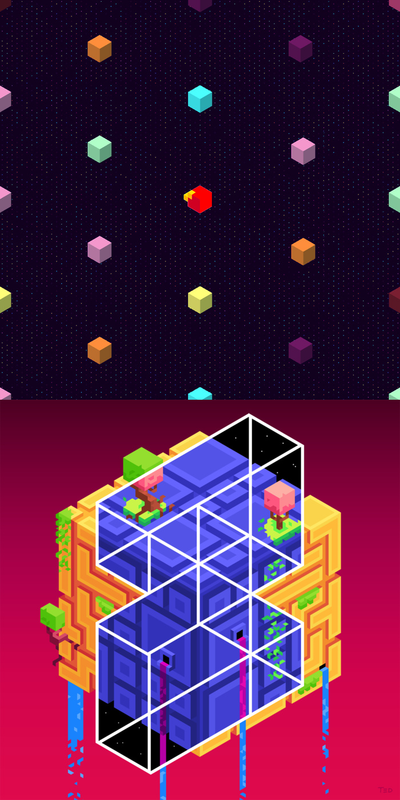 Both albums – Side F and Side Z – are collaborative efforts, drawing on members of the videogame music scene to offer re-interpretations of Fez’s soundtrack. Like a who’s who of the scene’s brightest personalities, FZ’s tracklist features contributions from FTL’s Ben Prunty, Minecraft’s C418, Metroid Metal’s Stemage and just about any other popular face you can attribute to the indie resurgence. In terms of scope, it’s an undeniably impressive achievement. Owing to the large number of faces and styles on show, neither F nor Z seem to have any separating characteristics. Within each album, the tracks are eclectically presented, sweeping from hip-hop to chiptune to jazz, with plenty of space left over for accordionists along the way. Standing as a whole, it’s confusing, inconsistent, and maybe even a little repetitive (as the game’s more upbeat tracks, it’s not surprising that ‘Flow’ and ‘Synch’ should crop up so much), and yet simultaneously representative of exactly what made Fez so enjoyable. As individual pieces, all of the songs within showcase a wealth of talent; and more importantly, are just plain fun. If the editorial process failed to find a logical path through the mesh of conflicting styles, then it succeeded tenfold in quality control. Neither Side F nor Z are suited to extended plays, but are instead perfect for the occasional peck; there to be devoured in chunks depending on personal taste. Whether you’re familiar with Fez or not, FZ should be commended for taking a few simple melodies and expanding them into as diverse a range of styles as possible. For both better and worse, your enjoyment of both albums depends wholly on the eclecticism of your tastes. You can download both Side F and Z from Disasterpeace’s website, here. Those who know me probably won’t be surprised to find that I’m closing this thing out with a Mike Patton project, let alone one that now also features Trevor Dunn. After releasing their excellent self-titled debut in 2001, Tomahawk – like most Patton projects – seemed to enter something of an identity crisis. Not content with the country-tinged rock of old, they crept further and further into obscurity, culminating in 2007’s Anonymous, a cover-album of sorts, paying tribute to Native American compositions in a low-key metal style. It was, to put it lightly, not for everyone. 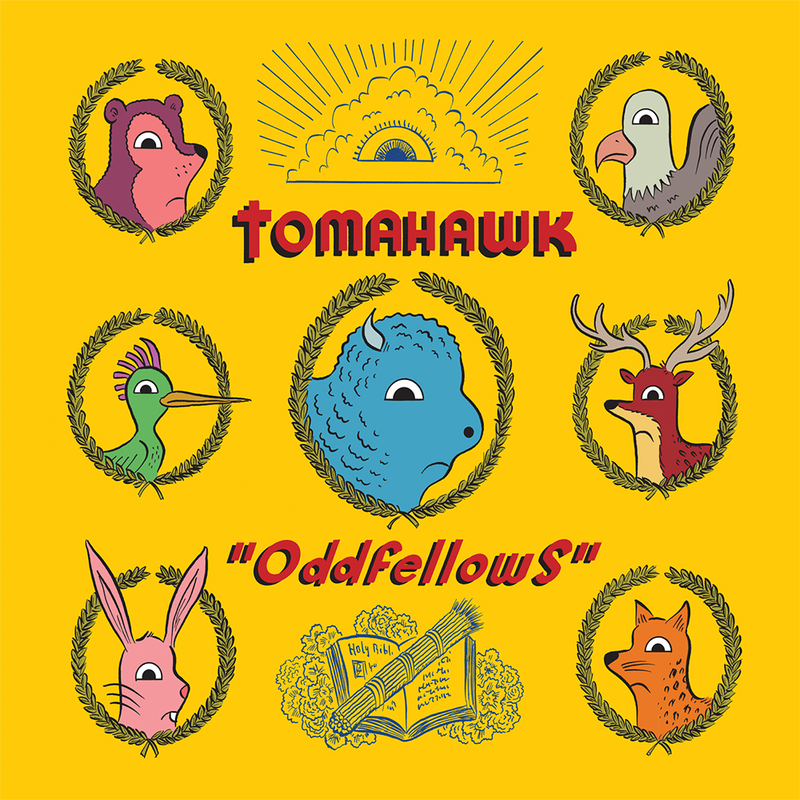 Released after a six year break, Oddfellows seems keen to avoid the indulgent experimentation of Anonymous, this time returning to the airy rock of their debut, with varying degrees of success. The songs here are clearly designed with the band’s live show in mind; capturing the catchiness and universality of the first album. Tracks like ‘Stone Letter’ and ‘White Hats/Black Hats’, while far from ‘normal’, are easy to understand and appreciate, and, while it makes for a record of significantly less subtlety, it also represents a return to reality for a band that were running the increasing risk of getting lost in their own fiction. It’s far from the band’s greatest release (that honour still rests with the debut), but it’s a welcome addition to the catalogue, if just because – even at their worst – Tomahawk still manage to tap into a mood and a sense of place unlike any other. Both lyrically and sonically, the sound of Oddfellows is the sound of a wholly fictional American Northwest –equal parts film noir and Angelo Badalamenti; delivered with all the barminess and brooding melancholy you’d expect. As far as I’m concerned, that’s something we can never have too much of. You can find out more about Oddfellows here. This entry was posted in Ramblings and tagged Amnesia, Amnesia: A Machine for Pigs, Best of 2013, Cloudkicker, ECO VIRTUAL, Fez, FZ, Oddfellows, Papers Please, Room 237, Subsume, The Shining, Tokyo Death Watch, Tomahawk. Bookmark the permalink.